Bearings and custom designed high tensile strength bolts are included. Our OHV rods are designed to utilize the higher compression ratios and high RPMs of racing OHV engines. 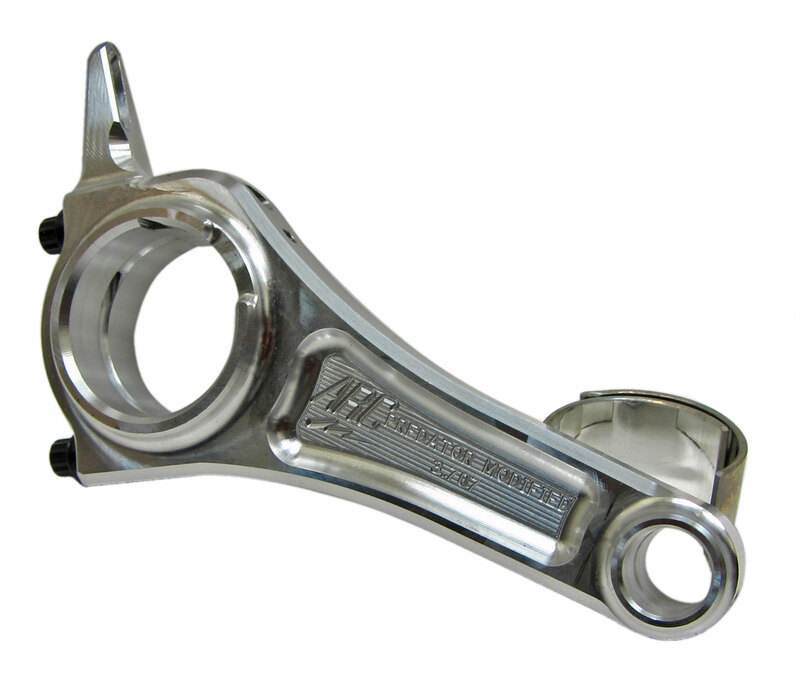 Designed to be used with aftermarket high-performance pistons. The standard bore on a Predator 212cc engine is 2.756". The Wiseco Piston #11132p94 is for a 2.756" bore, which means it will yield approximately .003" piston to wall clearance. This is right where you want to be, so provided your bore is good and needs nothing more than a fresh cross-hatch honing, it will be good. If your bore is larger, out-of-round, or the engine has already been run for a while with the stock piston, you will need to go with a larger piston.